Scientists who study the brain face a major problem in their research: they have an unprecedented amount of data at their fingertips; now they need adequate ways to fully interpret it. Statistician John Cunningham examines how the complex communication between motor cortex neurons gives rise to the elegant simplicity of our movements. Statistician John Cunningham, PhD, examines how the complex communication between motor cortex neurons gives rise to the elegant simplicity of our movements. “Scientists who study the brain face a major problem in their research: they have an unprecedented amount of data at their fingertips; now they need adequate ways to fully interpret it,” says John Cunningham, PhD, an assistant professor of statistics and principal investigator at Columbia’s Mortimer B. Zuckerman Mind Brain Behavior Institute. Physicists who study elementary particles have wrestled with data overload for decades, but the problem is relatively new in neuroscience. The field began with the study of individual brain cells, or neurons. But about 15 years ago things began to change. Since then dozens of new tools and technologies have burst upon the scene, capable of gathering information about the brain in unprecedented detail, clarity — and quantity. Scientists are no longer limited to studying one neuron at a time — now they can study hundreds, even thousands, simultaneously. The trade-off for all that power is a deluge of data: a single, 30-minute experiment can yield as much as a terabyte of data — the equivalent of a stack of books piled 10 miles high. Yet hidden inside these vast datasets can be remarkably elegant structure, says Dr. Cunningham, who is also a member of Columbia’s Data Science Institute. The trick is finding that structure. And that’s where his unique set of skills comes into play. Dr. Cunningham was a graduate student at Stanford University when he first became intrigued by data science. The field combines aspects of mathematics, statistics and computer science to extract meaningful knowledge from massive datasets. Today, data science shapes many aspects of modern society — from fraud detection to health insurance to online shopping. “Data science has been indispensable in these and many other areas,” Dr. Cunningham says. But Dr. Cunningham wanted to use it to address a far more difficult question, which emerges from what neuroscientists have known for a long time: each movement we make, no matter how simple, no matter how small, is mind-bendingly complex. Whether it’s pointing your finger or picking up a glass of water, the motion requires an intricate choreography of tens of millions of neurons. To approach this question, Dr. Cunningham teamed up with neuroscientist Mark Churchland, PhD, then a postdoctoral fellow at Stanford. Dr. Churchland was studying the motor cortex, the region of the brain that controls movement. In 2012 their initial collaboration paid off, when the journal Nature published their findings. The prevailing wisdom at the time had been that neurons in the motor cortex created simple high-level commands, but the work of Drs. Cunningham and Churchland showed that the process is far more sophisticated. “Our analysis revealed that to produce a movement, the motor cortex generates rhythmic patterns, which, when sent down to the muscles, combine to cause a movement,” explained Dr. Cunningham. As he and Dr. Churchland described in The Atlantic, the motor cortex acts less like a steering wheel and more like the engine of a car. When they started working together, Drs. Cunningham and Churchland quickly realized that explaining movement in terms of individual cells would require more than what either neuroscience or data science could do by themselves. 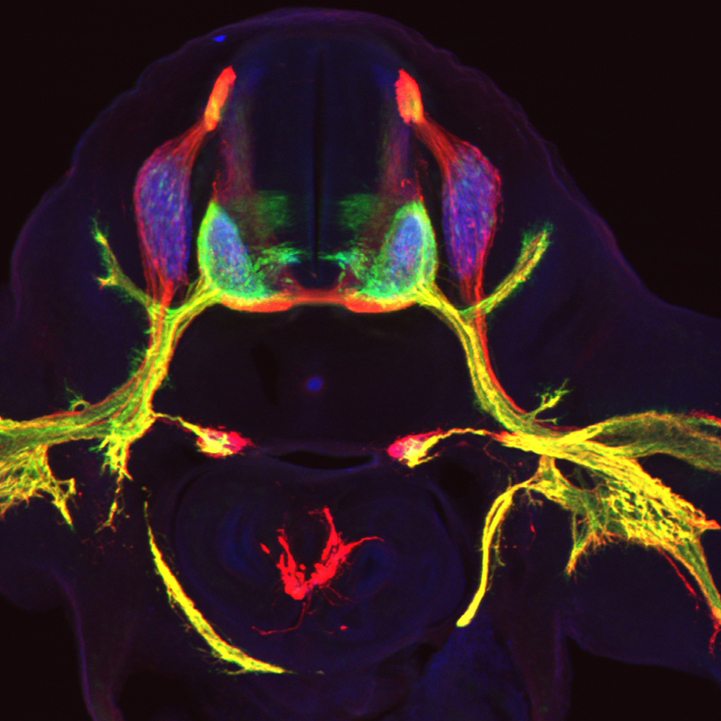 “Our results in Nature revealed how a true collaboration that cut across disciplines could advance the understanding of a brain region in ways that neither of us could have accomplished alone,” Dr. Cunningham explains. Today that collaboration has grown even stronger. Both scientists relocated to Columbia University as principal investigators at the Zuckerman Institute. Dr. Churchland in 2011, and Dr. Cunningham in 2013. They are now trying to understand how the brain performs so-called flexible computations — how, for instance, we can so deftly and quickly shift from walking forwards to walking backwards. Bringing statisticians like Dr. Cunningham to the Zuckerman Institute, to work alongside neuroscientists, chemists, engineers and others is critical to the future of neuroscience.